The most wonderful time of the year is quickly followed by the most miserable time of the year. Not because of the winter doldrums, but because of the credit card bills appearing in your mailbox. If you’re like many Americans who used credit cards to purchase gifts for the holidays, financial stress quickly replaces the joy and happiness of Christmas. You may have the unfortunate realization that it’s going to take you months to pay off your Christmas gifts. Don’t feel alone. According to Consumer Reports, 13 million Americans (nearly 6% of the population) are still paying off last Christmas. If you’re only making minimum monthly payments on your credit cards, chances are you’ll be paying it off for several more years. Do you know that there is another way to pay for Christmas? I will even go so far as to say that it’s a better way. The best time to start paying for Christmas 2011 is right now. I’m not talking about taking advantage of all those after-Christmas sales to stock up on gifts. Instead, you can start saving money now to pay for your Christmas shopping next year. The first step is deciding how much you want to spend for Christmas. If you’re married, you need to discuss this with your spouse and come to some reasonable agreement. You may have different families, traditions and expectations, so expect to compromise. Let’s assume that you decide you want to spend $2,000 for Christmas gifts next year. Starting in January, take $200 and save it (that’s $50 per week). Open a separate savings account if you need to, or find a bank that offers Christmas Club savings accounts just for this purpose. With meager interest rates and bank fees, you might just stuff the cash under your mattress. The key is that you save it the money and don’t touch it until Christmas. It’s not an emergency fund or quick spending money; it’s for Christmas. If you put $200 aside each month, you’ll have $2,000 in cash by the end of October just waiting to be spent on great Christmas bargains. But wait… what about the debt from this year? Wouldn’t I be better off using the $200 each month to pay off my credit cards? That may sound like a good idea, but I say don’t do it. Reducing your existing debt and paying off your credit cards is a different discussion. Chances are this is the cycle you’ve been operating under for years. You charge it. You work all year to pay it off. When Christmas rolls around again, you haven’t saved any money for Christmas, so you charge it again. If you want to break the cycle, you’ve got to do something different. I’m all for paying off credit cards and getting out of debt. However, you probably won’t achieve either of these without learning how to live within a budget and saving money to pay for future purchases. Even if you’re still paying for this Christmas next year, think of how great you’ll feel next year when Christmas is fully paid before Christmas. The stress and agony of opening bills in January will be history. When it comes to paying for Christmas, you can pay now or pay later. If you start paying for next Christmas now, I think you’ll experience a lot more peace, joy and holiday cheer next year. Christmas is the gift-giving season. There is a lot of emphasis to buy gifts for other people. 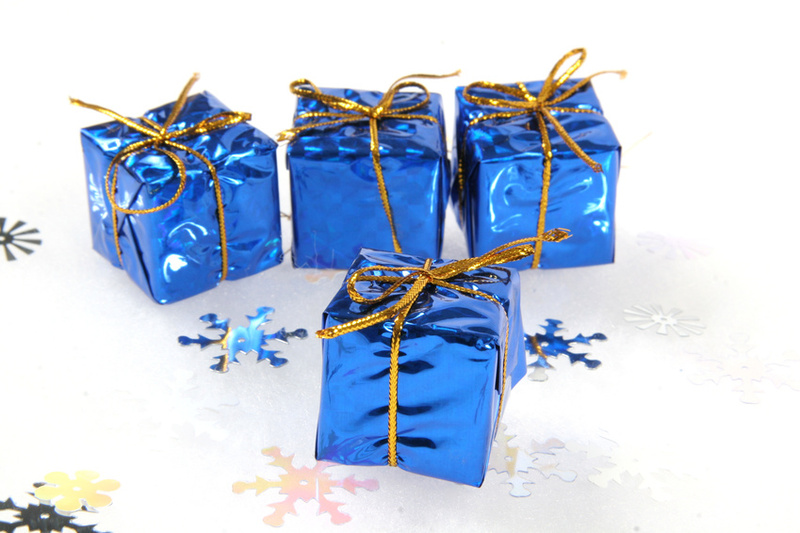 Not only are you expected to buy a gift, but there is a lot of pressure to buy the right gift. If a gift is an expression of your love, adoration and appreciation, does it matter what gift you give? Yes… and no. A gift will communicate your feelings if it has special meaning to the recipient. The best gifts are those that are unique to the person receiving them. It doesn’t necessarily have to be expensive or extravagant. Sometimes a simple or hand-made gift can communicate your feelings much more than something that costs a lot of money. Therefore, the right gift is the one that has signficant meaning rather than a high price tag. This is an important principle to remember when purchasing gifts, especially for Christmas. Our culture places a tremendous value upon the type of gifts you give. Love, appreciation, and status are often measured by the gifts you purchase. Consequently, there is a lot of pressure to overspend at Christmas, especially by parents. You may want your children to have a memorable Christmas; or you want them to have a better life than you did; or worse, you’re trying to buy their affection by lavishing them with gifts. There is nothing wrong with giving your children many things or showering them with gifts, but there is a problem if you’re buying gifts you can’t afford. Far better for you to find less expensive but more meaningful gifts, than try to create an extravagant Christmas that takes months or years to pay off. Gifts rarely make lasting impressions and memories. Sure there may be one or two gifts you’ll remember forever, but most of them are quickly forgotten or replaced. Also, the more someone has, the less likely that any one thing has much meaning. Upon reflection, I can only think of very few gifts I received at Christmas that really helped define a great Christmas. My best memories are family traditions and spending time with people. I may be a little unique in this regard, but I doubt it. Christmas is a season of giving. It’s good to give presents and material items, if given with the right heart and for the right reason. The appropriate gift can communicate your love, adoration, appreciation and respect for another person. At the same time, make sure that you can afford what you’re buying. Feelings of regret and animosity can easily replace love and affection when you buy things you can’t afford. Besides… it’s a foolish financial decision. Giving gifts is an important part of Christmas, but there are more important things than material gifts. The gift of love, time and traditions will probably make much more of an impact on your family and friends than the things you buy. You may find that the best gifts don’t cost much. Christmas is the gift-giving season. Bless others with your generosity and gifts… both those that cost money and those that money can’t buy.